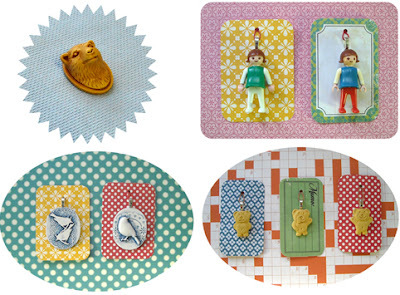 Day 3 giveaway is from an artist mamma craft person and collector, who has busy hands and an excellent eye. 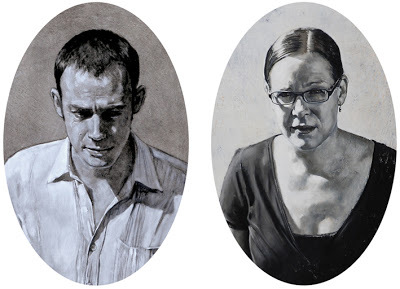 Together with her husband of the beautiful portraits, BRONWEN VAUGHAN-EVANS has launched a wonderful blog called ONCE. 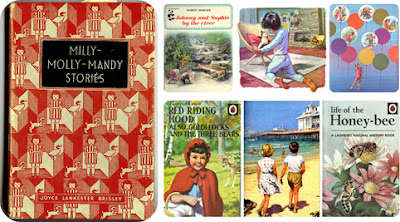 A treasury of vintage collectables, up-cycled craft, photography, painting and style. They will be adventuring to Melbourne in the new year but luckily through their blog we will still be able to share their loveliness. 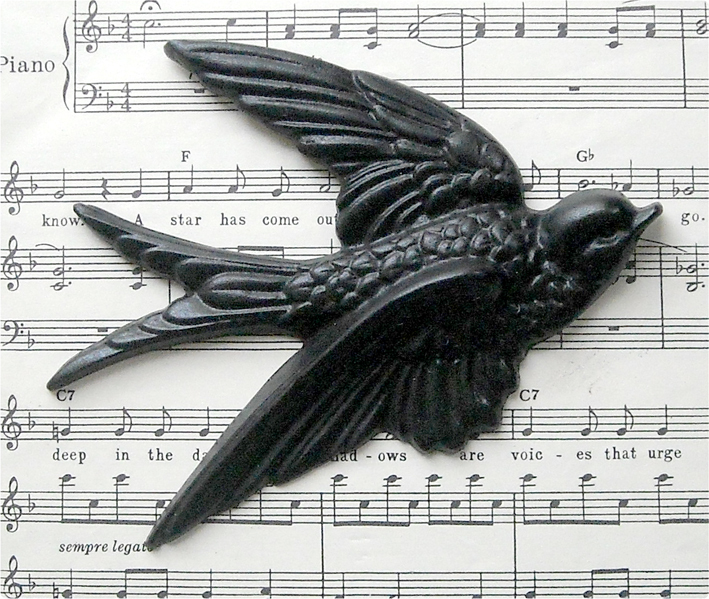 I have a black swallow plaque which I love to pieces and which is my PAINTED BLACKBIRD mascot, so it is especially special to be giving one away today. Hand made, moulded from a vintage brass plaque and cast in Jesmonite, new life breathed into old. Make sure you sign up at ONCE! OH MY! I have been after one of these for AGES!! Holding thumbs! Love it, love it! I aquired a few of her items at the I heart market a while ago. LOVE her work, didnt even know about ONCE, have just spent the last half hour perusing and there are so many beautiful things I have been left inspired. Love the giveaway, and a very cool blog - thanks for this. Wow -some people are amazingly talented! I wanna play in your 12 days Missy Kim but shouldn't really should I? I am going to comment everyday anyway because I think this is the most superb idea and that everything you do is so beautifully considered and special. love their work - big fan! I have a few of her cast lovelies… the swallow is gorgeous! I've sighed over Bronwen's paintings for years - didn't know she did such lovely vintage things as well. Super talented lady !! and amazing blog!! both of you!! this women is the most talented I know. A privilege watching what she produces. I didn't know about Once - sorry I found them just as they're moving. I love the 'About' description on their site! Would love this... I collect birds! Cant wait to see what they get up to on the Once blog. Bronwen is so talented. Melbourne is in for a treat. I'm such a bird lover, and swallows are my best, they signify freedom in a very special way! love vintage, these are fabulous.